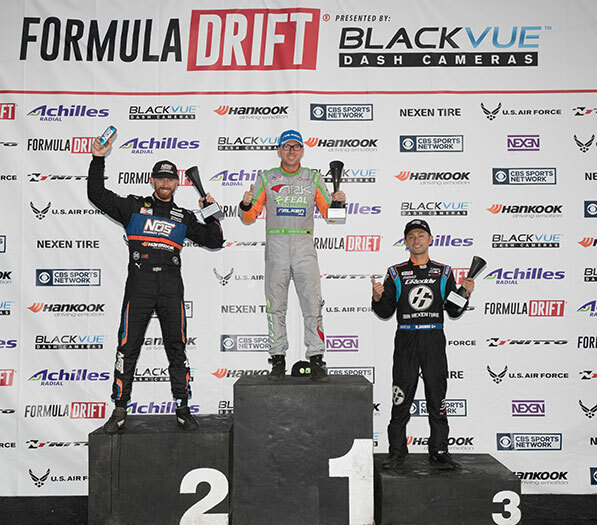 Long Beach, Calif. – September 10, 2016 – Formula DRIFT presented by BlackVue returned to Texas for Round 7: Autozone Showdown presented by Black Magic. 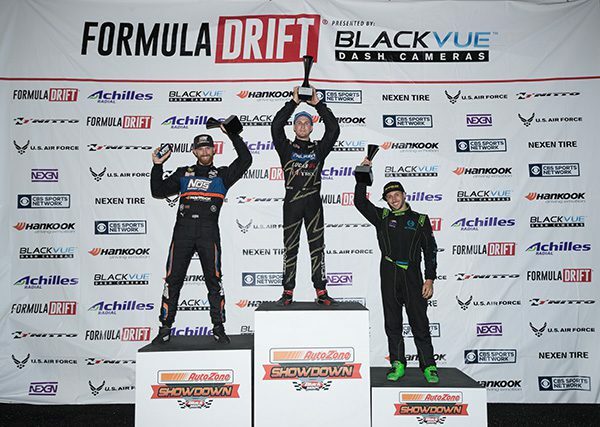 Matt Field in the Falken Tire / Driftcave Motorsports Nissan 240 takes his first ever victory. Texas Motor Speedway played host for the action packed event. With only one event until the final event of the season the drivers put it all on the line in their chase for the championship. Heading into the event only 15 points separated the Top 3 drivers. Forsberg met the young gun, Alec Hohnadell in the Enjuku / Get Nuts Lab / Nexen Tire Nissan 240, in the semi-finals. Hohnadell had car issues throughout the competition, which got the best of him helping to advance Forsberg into the Finals. Matt Field faced Kristaps Bluss in the HGK / Mast / Motul / Achilles BMW M3. A major mistake by Bluss on his chase run took him off course to give Field the win. Forsberg and Field met in the Finals. 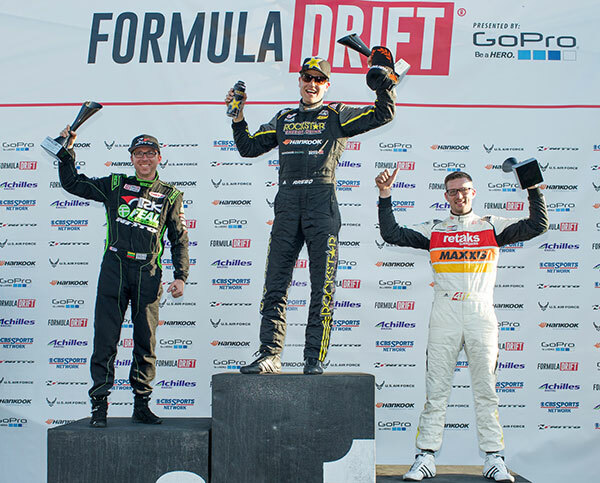 Forsberg drove aggressive, but that lead to him running into Field and that ultimately gave Field his first Formula DRIFT victory. This marks Forsberg’s sixth consecutive podium and he now leads the chase for the championship by 36 points with one event remaining. 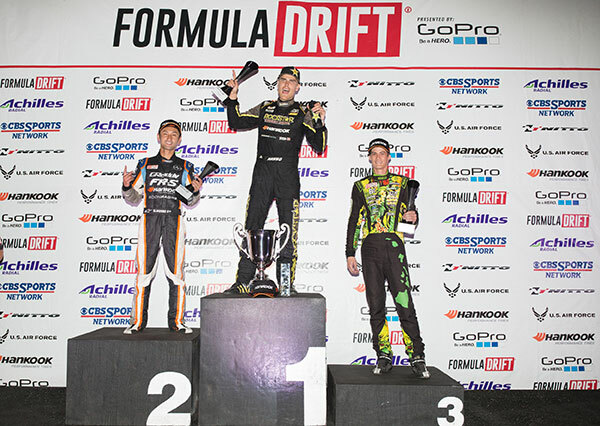 The 2016 Formula DRIFT Pro Championship will continue to Round 8: O’Reilly Auto Parts Title Fight sponsored by Gumout on October 7-8, 2016 at Irwindale Speedway. 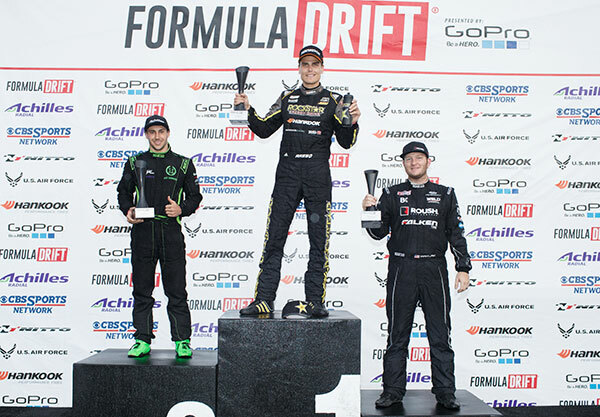 For more information visit,www.formulad.com and find Formula DRIFT on Instagram @formulad, Facebook www.facebook.com/formuladrift, Twitter @FormulaD, and Snapchat – formula_drift. Tune into Formula DRIFT on CBS Sports and check your local listings for airtimes.